$40 off Standing Desk + FREE SHIPPING: Limited time offer! Use code HOT40 at checkout. 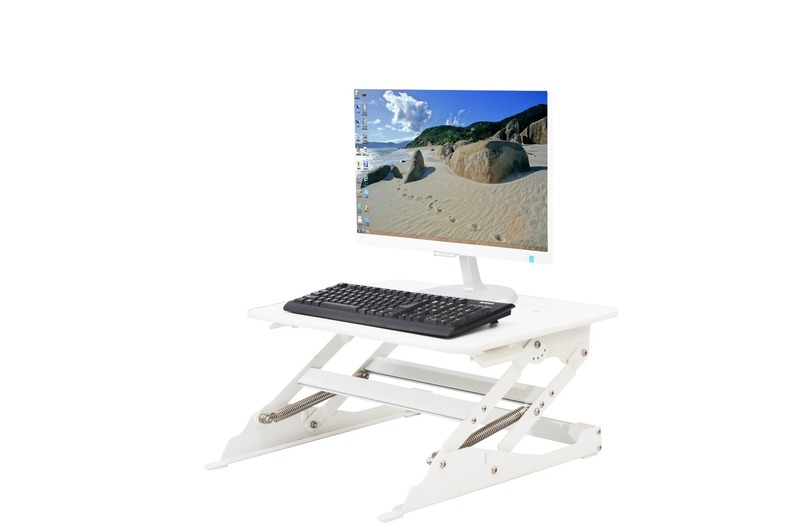 Create a healthy and happy work environment with the Small Standing Desk! Ideal for use in the home or the office, this versatile desk can be adjusted in a matter of seconds, allowing you to vary your position throughout the day and combat the health risks associated with too much sitting. 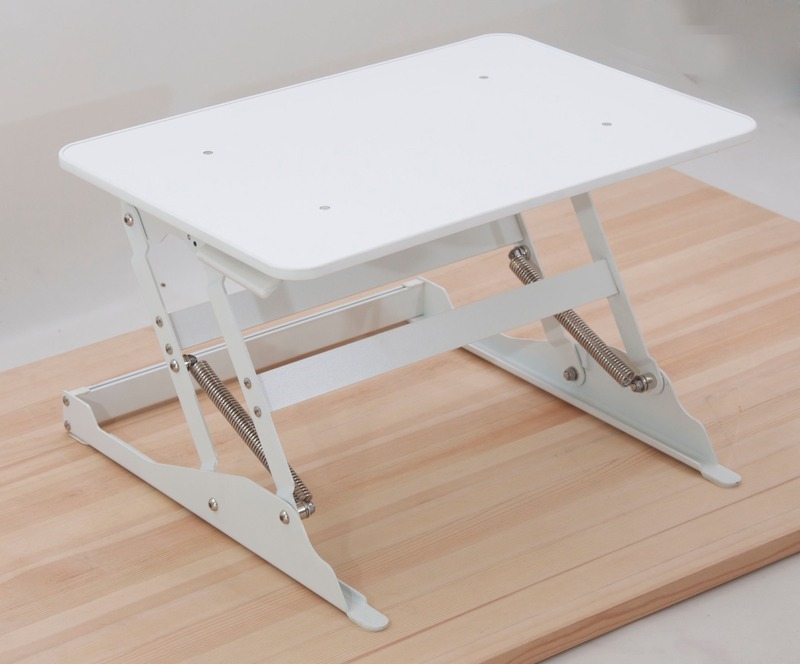 With no assembly required, the Small Standing Desk sits on top of your existing work surface, transforming your desk into an ergonomic, sit-stand workstation. Space for 1 monitor or laptop under 20"
Many adults now spend more than 7 hours a day sitting, and this typically increases to 10 hours or more the older we get. And with most of our days consisting of sitting at our desks, in the car or on the sofa, these figures are hardly surprising. But our bodies weren’t designed to sit all day and sitting for long periods can have a major impact on our health and wellbeing. From strained necks, herniated discs, muscle degeneration, and weakened bones, too much sitting can be severely bad for your health. By implementing a standing desk into your workstation you can help combat these symptoms as well as enjoy a range of health benefits. Switching between sitting and standing postures throughout the day can help reduce the physical stresses on your body, keep you active while at work, as well as improve your productivity. Research suggests that we should be standing for at least two hours, gradually increasing that up to four. With a standing desk, you can make this change as simple as possible. The Small Standing Desk has been designed so that you can work comfortably whether stood up or sat down, allowing you to easily vary your position throughout the day and combat the health risks associated with too much sitting. 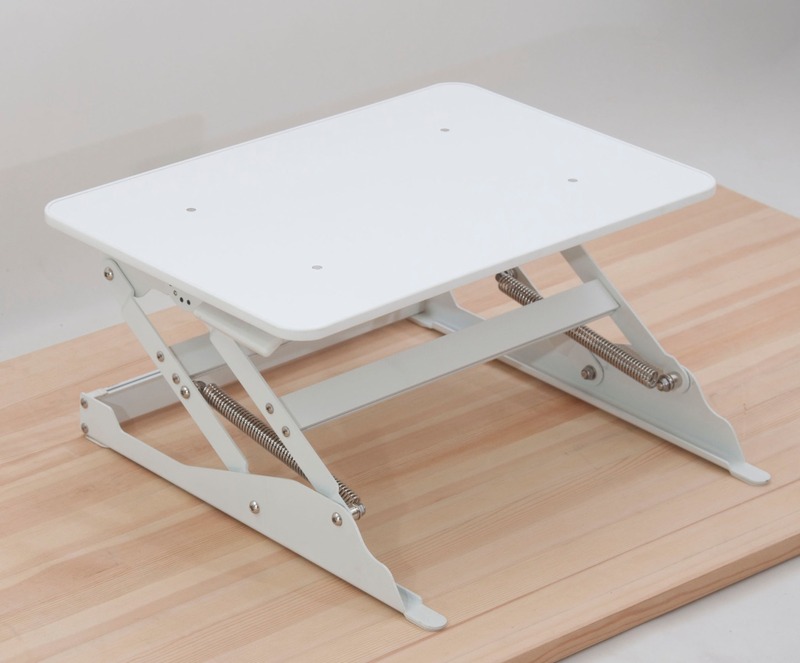 With no assembly required, the Small Standing Desk sits on top of your existing work surface, transforming your desk into an ergonomic sit-stand workstation. Using the all new and improved hand levers, the Small Standing Desk can adjust from a sitting to a standing position in seconds, making it an easy and convenient solution to improving your health while working. Simply release and lift the hand levers on either side of the unit to raise and lower the desk. 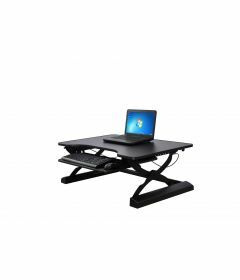 Ideal for use at the office or in the home, the adjustable monitor stand is perfect for workstations with limited space. The small surface area on the top platform allows for 1 monitor or laptop. Squeeze the adjustable levers up on each side. Lift desktop up while levers are squeezed and pull towards you. Release levers to lock the desktop at your desired height. Squeeze adjustable levers on each side. Push down on the desktop while levers are squeezed and push away from you. Our Standing Desk has been recommended for use by the London Spine Clinic on Harley Street, London. The London Spine Clinic is the number 1 private clinic in the UK specializing in back pain with a private client list including Olympic champions and a whole host of sports professionals. Treating in excess of 10,000 patients a year it is in their expertise that the Standing Desk is recommended to vary positions throughout the day and help combat the health risks associated with too much sitting. 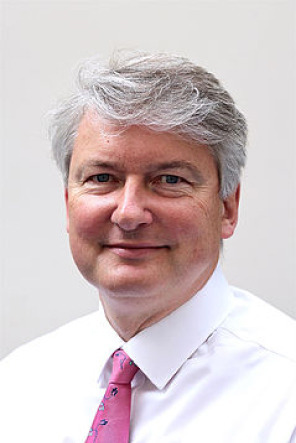 In recent years international research on Sedentary Behaviour (SB) has increased dramatically and there is growing evidence that a multitude of serious health risks may be connected to “prolonged” and “excessive” sitting. Sedentary behaviour science is still emerging, however the evidence to date is compelling. A variety of studies warn that sedentary lifestyles are likely to be causing as many deaths as smoking. What height can the Standing Desk be raised to? The Small Standing Desk can be raised from 5.7" - 16.5" high. What is the Standing Desk made of? The Small Standing Desk, the top is made of 9mm melamine MDF, and base frame 3mm steel and plastic. This means the Small Standing Desk is not only sturdy but will last for many years to come. How easy is it to raise and lower? The Small Standing Desk is super easy to raise and lower. You simply squeeze the two levers on each side and the desk will raise up for you. Simply release the levers to stop at the designated height. To lower the desk, you squeeze the levers together and simply push down on the desktop until you reach the required height again. 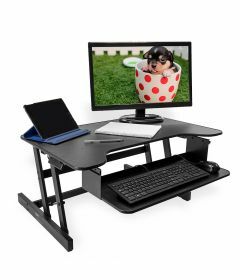 $100 off Standing Desk + FREE SHIPPING: Limited time offer! Use code HOT100 at checkout. Create a healthy and happy work environment with the Standing Desk! 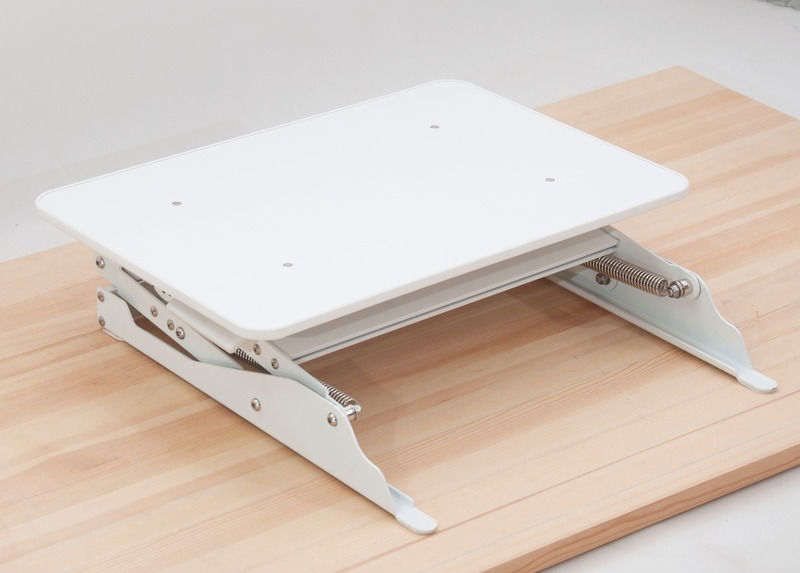 With no assembly required, the Standing Desk sits on top of your existing work surface, transforming your desk into an ergonomic, sit-stand workstation. 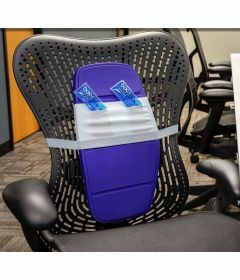 Only London Spine Clinic recommended active sitting cushion! Improve your core strength and seated posture with the Posture Cushion! Also great support for ab workouts! This pre-inflated disc works by de-stabilizing the sitting surface to encourage active sitting and engage the postural muscles. 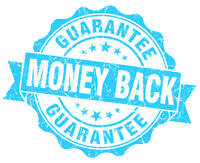 - Helps support lower back while doing ab exercises, see our new video! Improve your posture and comfort when sitting with the Backboard™! Its flexible construction allows it to be bent into any position, meaning it can be specifically tailored to fit the curvature of your spine, reducing the stresses and strains that can occur from poor posture. Cool pads and a sleeve are included for optional cool therapy. 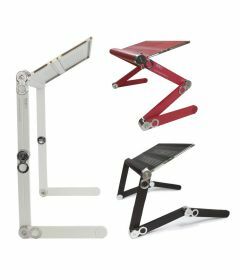 - Quality Construction: Zinc alloy joints and aluminum components (not plastic), with a free mouse stand. Holds 110 lbs! - Fully Adjustable: Versatile to your needs with 360-degree, lock in place, rotating legs. Suitable for laptops up to 17"
- Multipurpose: Prefect for laptops, printers, tablets, speakers, books, writing desk, breakfast tray, standing desk, recipe books, homework & much more! FREE SHIPPING on all Posture Stands! Create a healthy and happy work environment with the new Standing Desk - Large! With no assembly required, the Standing Desk - Large sits on top of your existing work surface, transforming your desk into an ergonomic, sit-stand workstation.